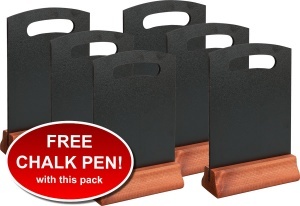 FREE CHALK PEN WITH THIS PACK! 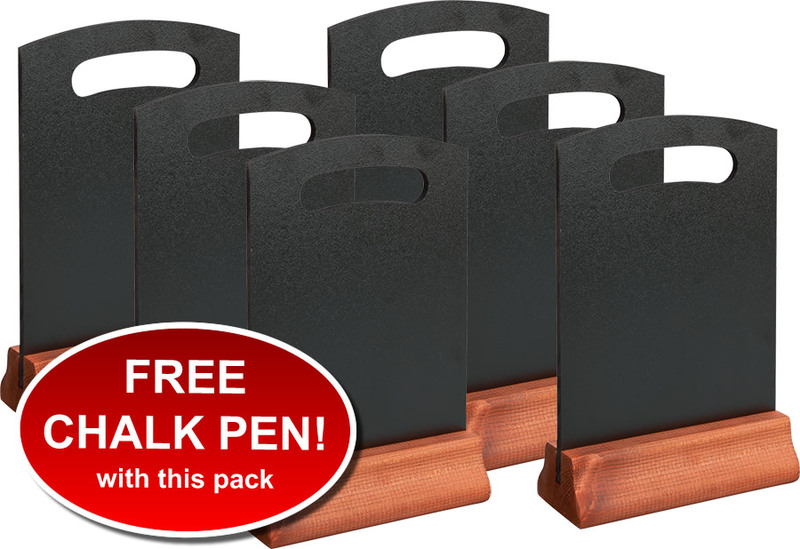 A free standing double sided chalkboard with dark oak stained plinth. 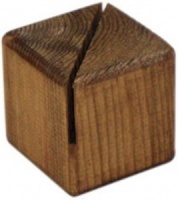 The base is manufactured in the UK from FSC approved sustainable sources. Features a 6mm melamine panel with a curved top. 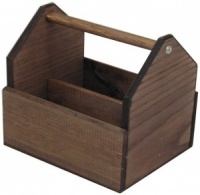 Ideal as a table talker for promoting offers and menu items in an eye catching location. The A5 board has a hole in the top of the board to make it easier to pick up and carry a number of them at once. Order individual A5 boards here. Also see our A4 Table Top Boards pack here.